It is less than a pinprick in an endless ocean. A place that has the size of a couple of football fields, where the elements have free rein. Yet, this is the exact hotspot were every year, in February and March, one of the largest aggregations of orcas of the Southern Hemisphere come together. To reach this unique place, you first have to travel to the small town Bremer Bay, on the west coast of Australia. From there, you still need to sail 50 kilometers over the heavy Southern Ocean. Just over the edge of the continental shelf the seabed drops down steeply to a depth of 4.5 kilometers; the Bremer Canyon. Normally, the open ocean is a sparsely populated area. Especially when you compare it to the coastal waters that burst with life. But in February and March, something special happens in the Bremer Canyon. Film producer Dave Riggs remembers well when he first came to this place in 2005 during a study on bluefin tuna. “There was an unusual amount of activity. I felt there was something special about this place.” The research team found large schools of baitfish and tuna. Dolphins chase the fish, while they in their turn had to watch for sharks of all sizes. Sperm whales rest at the surface after their hunt for giant squid in the deep ocean. Countless seabirds fly above the hotspot, looking for the remains of the feast underwater. 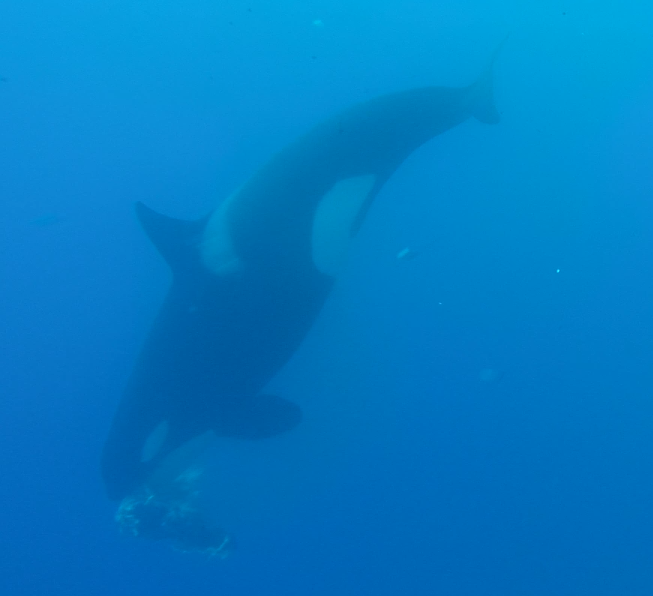 The first orca David sees is a huge male with a length of almost ten meters. 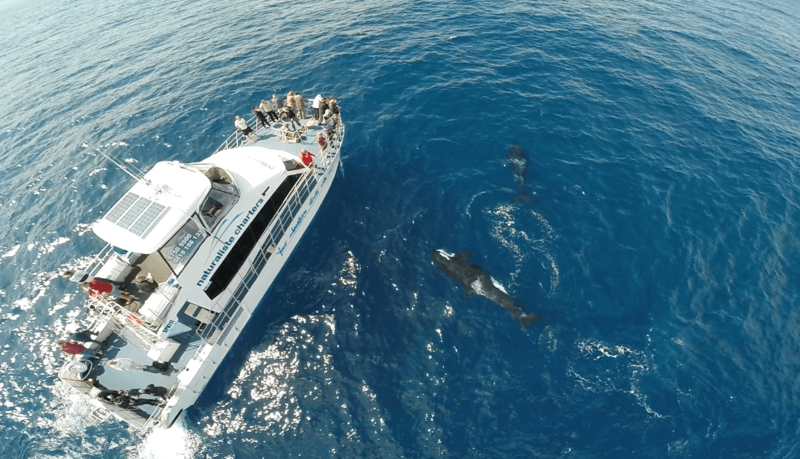 And he is not alone; soon much more curious orcas are surrounding the boat. Dave’s interest in this unique place is aroused. Especially when it appeared that this phenomenon repeats every year around the same time and in roughly the same location. 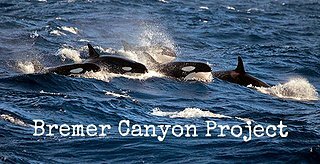 Also A380, a suitable name for the big orca bull, returns almost every year to Bremer Canyon with his family. But why? Riggs intends to go the bottom to get the answers. And he literally has to go that far. Dave Riggs is not the only one. Oil companies have laid their eye on this specific submarine canyon as well. Studies have confirmed that there are promising oil and gas sources under this sea bottom. Slowly, pieces of the puzzle fall into place. The most logic explanation for the origin of this hotspot begins with the leakage of hydrocarbons (e.g. methane, propane and butane) from the oil and gas resources. Bacteria convert these compounds into nitrates, which is the favorite food of phytoplankton. Because of this, crabs, shrimps and shellfish have enough food to survive at great depth. The trillions of eggs that are produced by these animals provide the perfect boost for the food chain. When the ocean’s currents weaken from November to March, the nutrient-rich water reaches the surface. Schools of fish are attracted, and on their turn attract other predators as well. 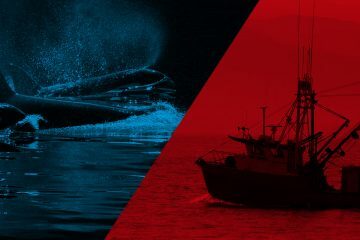 Tuna, sharks, squid, dolphins and whales; all feed on the sudden abundance of food. Also orcas arrive to claim their place at the top of the food chain. Where they come from is unknown. 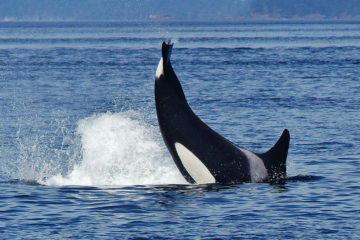 So far, these orcas have only been seen at the hotspot, nowhere else. 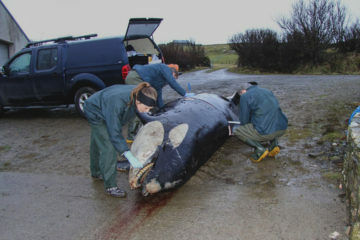 In 2010 a DNA sample was collected from a deceased Bremer Canyon orca. 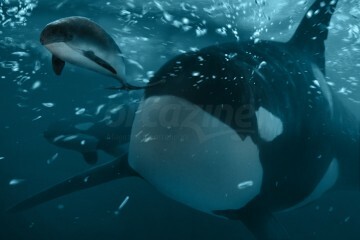 It revealed the animal was related to the Bigg’s orcas in the Northwest Pacific. Dave notes that some orcas frequenting the canyon are tinged with yellow. This could be a result of living in diatom-rich, cold waters in the south. An ambitious project might give more clarity. 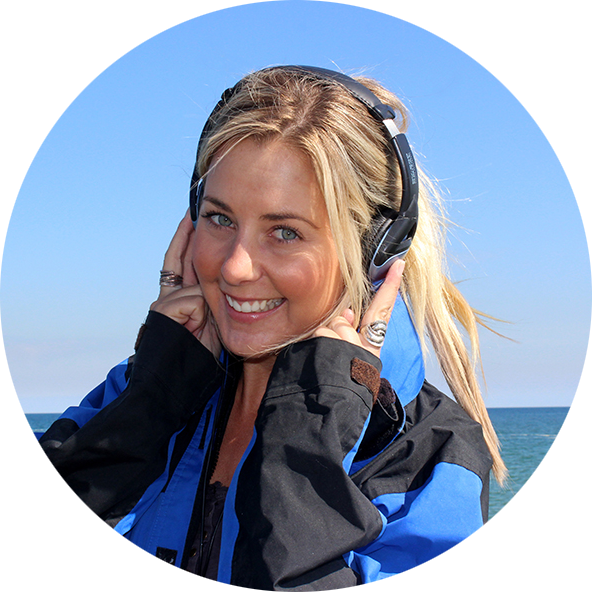 Bec Wellard studies the sounds of orcas in Australian waters (read more here). She discovered that some of the calls made by Bremer Canyon orcas look surprisingly similar to those of type A orcas at Antarctica. This can indicate that the two populations are related to each other or that there is overlap in habitat. “There is so much to discover. The next few years we hope to gather more data so we can identify family connections, dialects and habitats”. Where the orcas of Bremer Canyon spend the other ten months of the year still remains a mystery. The orcas are not always at the exact same coordinates in the hotspot in February and March. But they usually remain within a radius of about 20 kilometers. Groups of orcas regularly patrol along the edge of the continental shelf. Pods usually consist of three to ten individuals and, as with other populations, are led by the matriarch. Sometimes, these groups come together and researchers have counted more than 100 animals in these gatherings. Is this hotspot an annual meeting place to socialize and breed? The reliable seasonal food source provides a stable area to meet other pods. 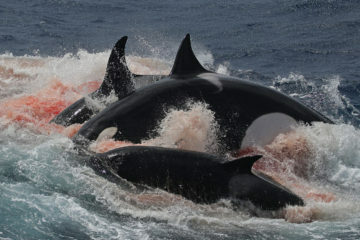 One thing is certain: this is one of the biggest aggregations of orcas on the Southern Hemisphere. 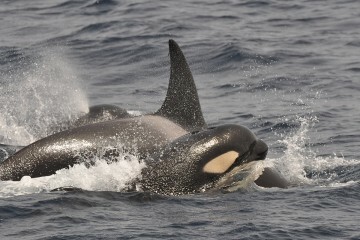 The dorsal fin, the gray saddle patch and the eye patches are unique to each orca. 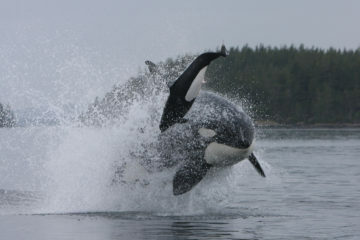 By photographing these characteristics and storing them in a database, you can see which orcas visit the hotspot. And you can also see when and with whom they were interacting with. The catalogue is growing every season with new fins. After two years of research, it contains already 100 identified individuals. 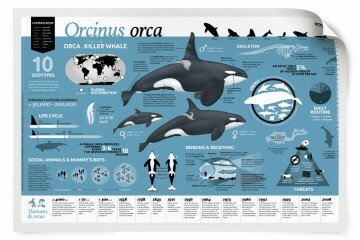 Every orca gets its own code*. “But fortunately we also give them a name,” tells Bec. “My favorite is maybe Split Tip (W A008). The tip of her dorsal fin is split but what is particularly striking is that she is so friendly and curious.” Another orca that stand out is Paintball (W A029). This adult male is named after a white patch on the right side of his dorsal fin. But no one is as easy to identify as Stumpy (W A044). This orca has no dorsal fin. Perhaps this is the result of entanglement in fishing gear. Luckily, there is no indication that Stumpy suffers from this amputation, he or she is in perfect health. “Such an orca hotspot is obviously a great opportunity for a researcher. Yet it is not always easy to find and photograph the animals in the Southern Ocean- with big seas and huge swell! . But seeing and recognizing these magnificent, intelligent animals has been well worth the inconvenience! Each encounter provides small pieces of new information.”, says Bec enthusiastically. It has been observed once that the orcas were feeding on a large squid. But it is not clear whether squid is eaten regularly. Many years of research is needed to get a better view on the feeding habits. It is difficult for the biologists to gather evidence of prey. It is a challenge to get the remains of a meal in a net when you are standing on a wild moving boat. Especially when there are countless birds that are often faster to grab the remains than the biologists. And below the surface, bronze sharks and blue sharks try to get an easy meal as well. It is suspected that the sharks follow the orcas to benefit from a successful hunt. They themselves are probably not on the orca’s menu. Nobody can deny that the Bremer hotspot is a very unique natural phenomenon. But a lot of work needed to be done to convince the Australian government that this place must be protected. 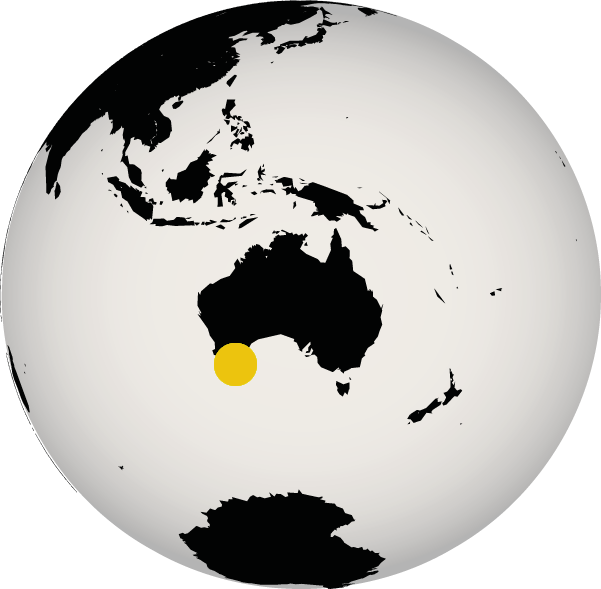 Dave Riggs has put a spotlight on this hotspot with the 2013 documentary ‘The Search for the Oceans Super Predator’. The documentary shows the search for an animal that attacked a great white shark at the Bremer Canyon. 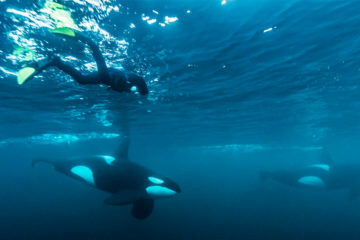 The orcas are one of the suspects and the production is filled with fantastic footage of these super dolphins, both under and above the surface. Government officials and people from the media are brought to the area by Dave, so they could see this ‘miracle’ with their own eyes. But even that was not enough to make this hotspot become part of a marine reserve. The next step was to provide the government with irrefutable research results. That is why biologists like Bec Wellard were needed. With their work, they can prove that this almost untouched area should remain as intact as possible. The young researcher is clear about this: “If we want to see the orcas again every year, we must leave this special place alone.”. In 2018 all hard work was rewarded. The canyon now belongs to the protected Bremer Marine Park. 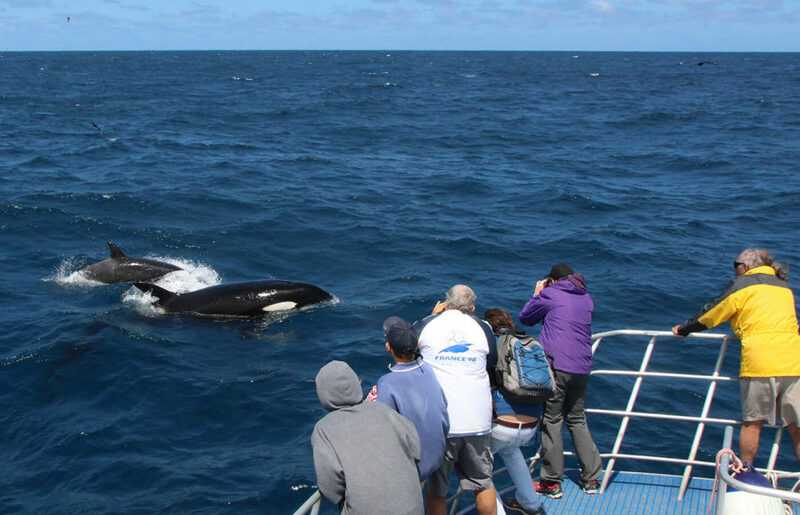 This special marine reserve offers a unique opportunity to study killer whales, which normally live far out of the reach of humans. Undoubtedly, we are going to hear a lot more about these animals. 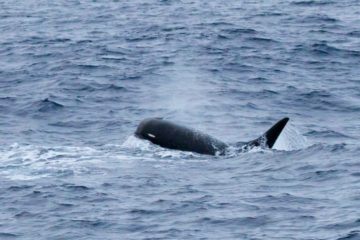 So far, research on the orca population in Australia has been limited. 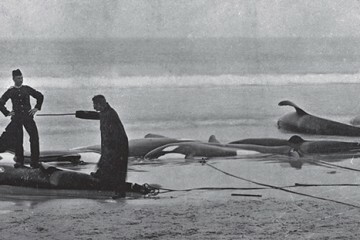 That is because it is very difficult to study the rare and unpredictable orcas with the conventional research methods. Although orcas are sighted along all the coasts of the continent, no one has an idea yet about their movements and population size. 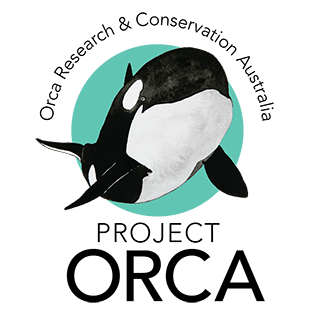 Project ORCA (Orca Research & Conservation Australia), an initiative of the Centre for Marine Science and Technology at Curtin University in Perth, is changing that. 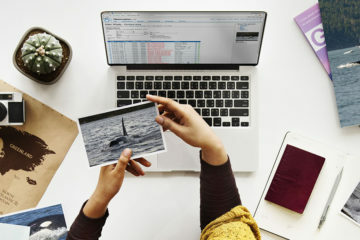 PhD-student Bec Wellard and supervisor Dr. Christine Erbe are using photo-identification and sound recordings to collect data that can provide more information. They record sounds with hydrophones from a boat, but also by deploying deep sound recorders on specific locations on the sea floor. After a period of sometimes up to one year, these noise loggers’ are retrieved. Then, the processing of the huge amount of data can begin. The Bremer Canyon is the perfect ‘lab’ to use these systems. 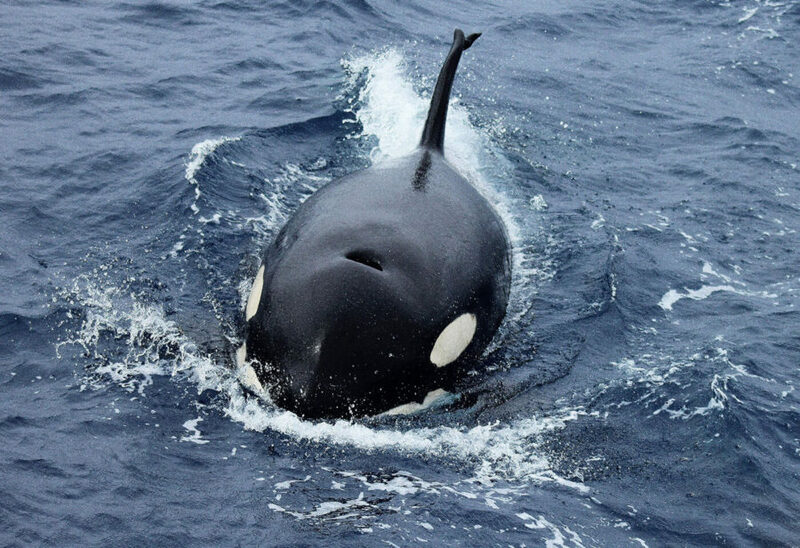 But also Ningaloo Reef, where orcas hunt on newborn humpback whales, is an area where this technique is used- another field site Bec uses for her PhD research on killer whales. More information about the project can be found on their website and also at Facebook. 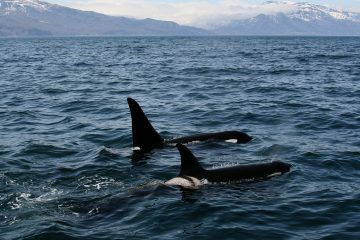 Naturaliste Charters brings you to the orcas of Bremer Canyon.